Add a gorgeous teddy bear to your order. 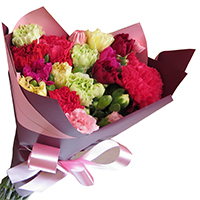 The Bouquets are made up of 1, 2, 3, 4 or 5 Dozen long stemmed spray and standard carnations. 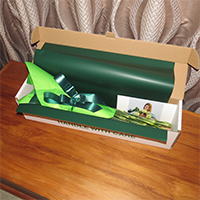 Delivered anywhere in NZ the mailman goes, for the all inclusive price! We are a unique florist. 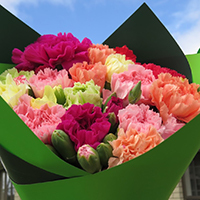 We have been growing lovely long stemmed (over 500 mm) long lasting carnations and delivering them fresh all over New Zealand for over 20 years. 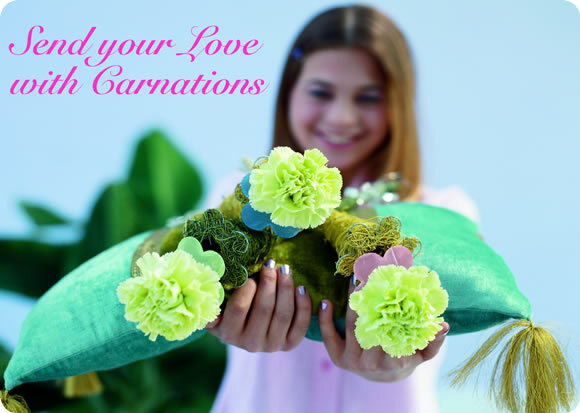 Unlike other florists we grow our Carnations right here on our own property. Because of this I personally guarantee our product and service. 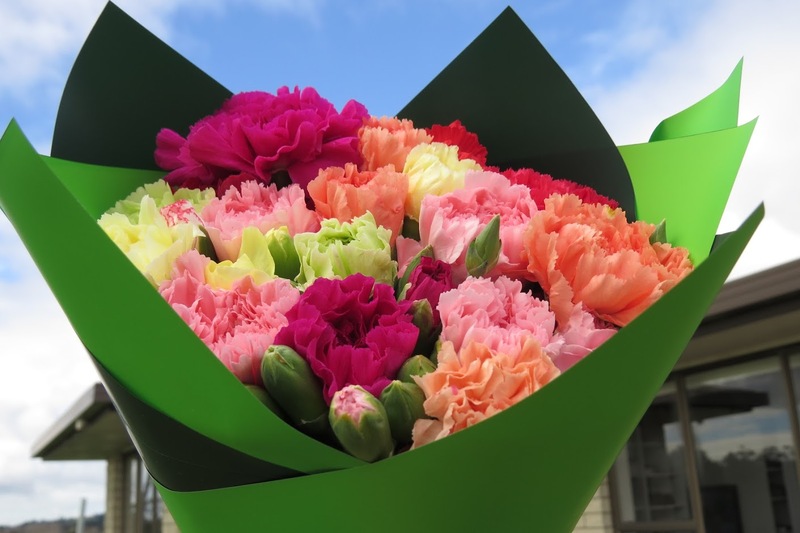 You will not find fresher carnations than ours. 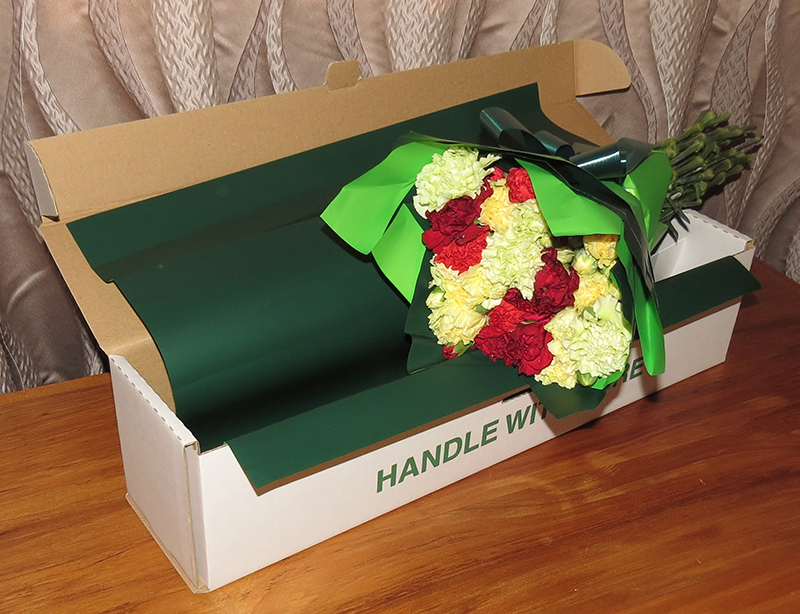 My Mum got her beautiful flowers in time for mothers Day. She was thrilled. Wonderful Service, Lovely flowers and All done with a smile. 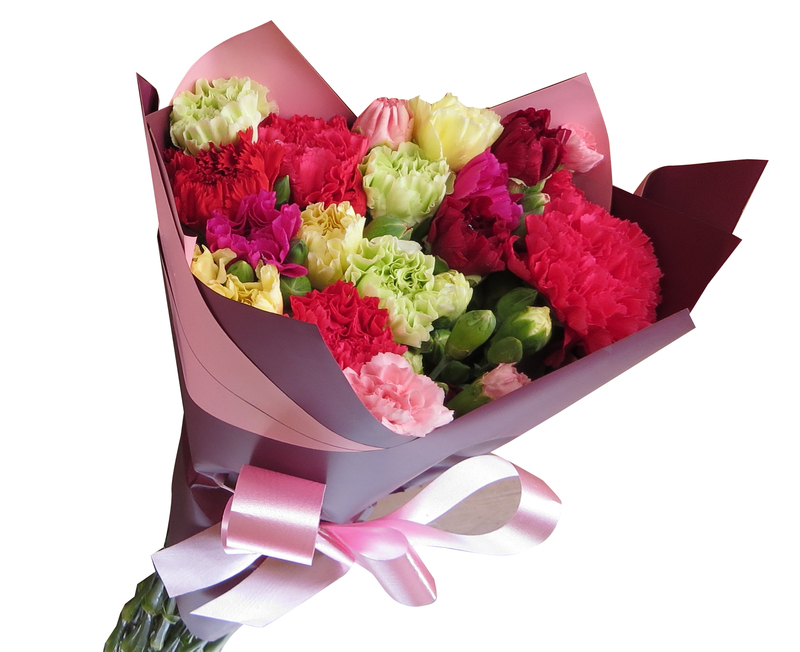 Our Bouquets are made up of 1, 2, 3, 4 or 5 Dozen long stemmed spray and standard carnations grown here on our property, beautifully wrapped and presented and delivered all over NZ for the all inclusive price. Delivered all over NZ for the all inclusive price! Click here to go to our secure order page. We also accept payment by phone, fax and *cheque *NZ customers only. © Copyright 2019 North South Flowers. All Rights Reserved.